Gwen Cooper rescues a blind, three week old kitten from her local veterinarian. She already had two cats and certainly didn’t need another, but couldn’t resist taking Homer in after hearing that nobody else wanted to adopt him because he was blind. Not only does Homer turn out to be a very special cat that survives the 9/11 attacks near his apartment home just blocks from Ground Zero, but he also fights off an intruder during the night, saving Gwen’s life. A wonderful book about the special relationship between a human and her extraordinary cat. When Jay Kopleman and his Army unit hear noises in an abandon home in Fallujah, a puppy is definitely not what they were expecting to find. Unable to leave the dog behind where he faces certain death, Jay brings the dog back to the base, and nurses him back to health. Over the next few months of fighting, Lava is a source of companionship and comfort during the trials of war. But when Jay’s tour of duty is up and it’s time for him to come back to the states, it becomes a whole different kind of mission to get his dog out of Iraq. Anyone who’s ever worked in the library knows that some pretty strange things find their way into the overnight book drop. On a cold, winter morning at the Spencer Public Library in Spencer, Iowa, a frostbitten, shivering kitten is found in the metal book return bin. Librarian Vicki Myron, along with the help of other staff members, nurse the kitten back to health and let him take up permanent residence in the library. 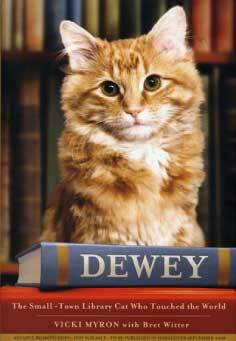 A contest was held to name him and the fluffy orange kitten officially became Dewey Readmore Books. Dewey became a celebrity of sorts, and his story was featured on many national news programs, prompting visits and letters to the library from all over the world. 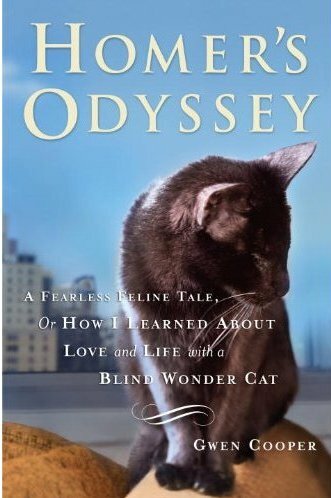 A book that every cat lover should read! Like most married couples who want to test the waters of parenthood without actually having a baby, John and his wife decided to adopt a puppy. They selected a lab – a breed well known for being calm, lovable dogs. Unfortunately for John, Marley was anything but that. Marley got kicked out of obedience school, ate a necklace, charged right through a screen door and had to be medicated during thunderstorms. 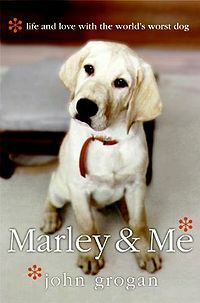 Even though he caused more mischief than they bargained for, Marley became a devoted pet who helped John and his wife through some trying times. Be prepared for lots of heartwarming moments along with some tears. 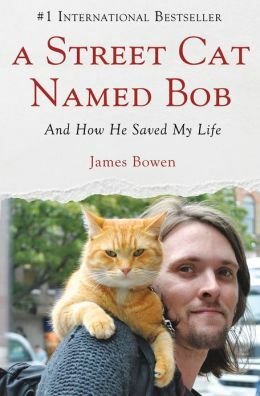 James Bowen was a recovering heroin addict living in London, making his living playing guitar on the street corners. With barely enough money to pay his rent, the last thing he needed in his life was another mouth to feed. But when an injured orange kitten shows up on his door mat, James can’t help but take him in. Bob eventually starts going along with James during his street corner performances and begins attracting a following both online and in the neighborhood. Not only does the cat help James bring in more money, but he also teaches him responsibility and the importance of getting and staying clean. A simply, yet effectively written story about the positive influence a pet can have in one’s life.